Frederick G. Dove of Leicester, formerly of West Roxbury, passed away on April 3, 2019. He was 61 years old. 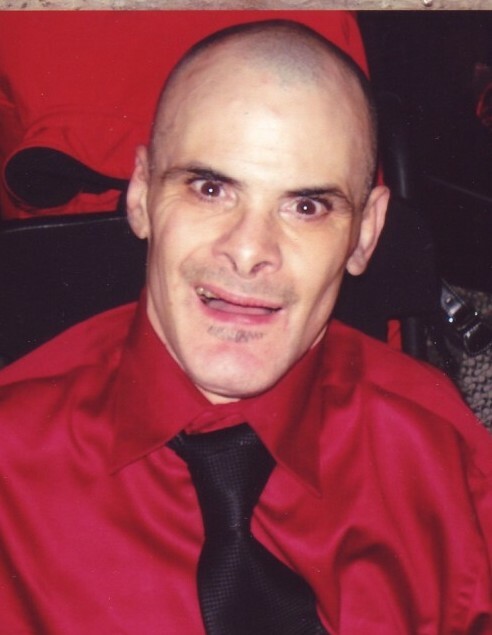 Fred was a resident at a Seven Hills group home and attended Aspire! Worcester. Fred enjoyed being with friends and family and listening to music from the Big Band Era. He enjoyed traveling and made friends wherever he went. Fred was the son of Evelyn (Maloof) Dove of Medfield and the late George Dove. Fred is survived by his brother Richard and Richard's wife Carol of Medfield, nephews Nicholas and Stephen, and niece Meghan. He also has many loving cousins and a tremendous amount of friends in the Worcester area. Visiting hours will be held on Friday April 5, 2019 from 4:00 to 7:00 p.m. at the Callahan, Fay & Caswell Funeral Home 61 Myrtle St. Worcester, MA 01608. Relatives and friends are respectfully invited to attend. A private interment will take place at a later date.